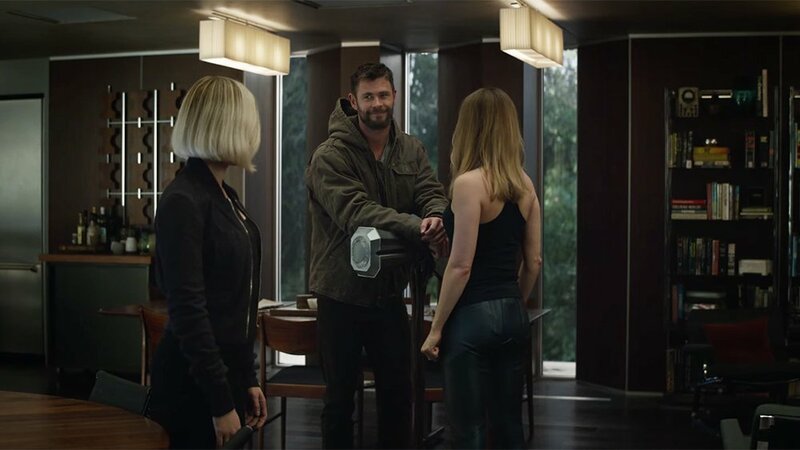 The new Avengers: Endgame official trailer has been released! This epic trailer givers us our first good look at what this major turning point in the Marvel Cinematic Universe will have in store for us. 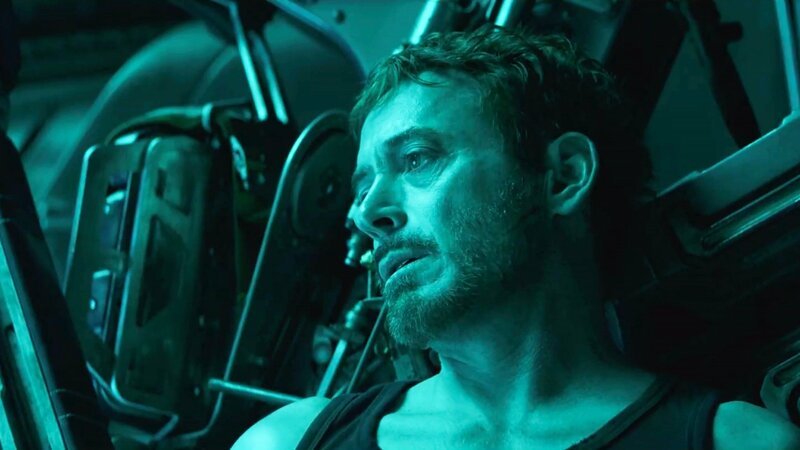 Avengers: Endgame, Directed by Anthony and Joe Russo, follows on from Avengers: Infinity War’s devestating cliff-hanger which saw fifty per cent of the MUC’s heroes turned to dust by Josh Brolin’s Thanos.. Now the saga reaches a shattering conclusion in Avengers: Endgame, and I can’t wait to see how everything is resolved after seeing this awesome looking trailer! Whatever it takes. 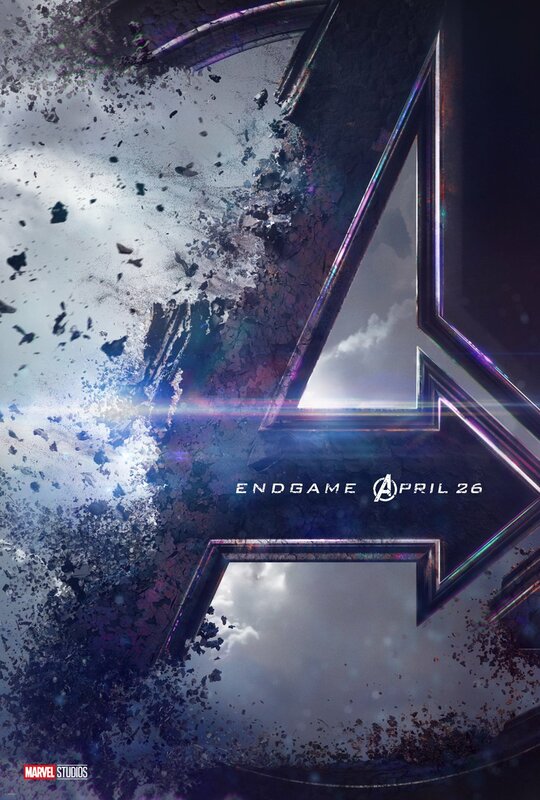 Check out the -new trailer for Marvel Studios’ Avengers: Endgame! And there’s a great new poster as well! Following the an epic decade, the Marvel Cinematic Universe is about to reach a major turning point with Avengers: Endgame! Yes, after weeks of rumours that a trailer for Avengers 4 was on the way, today is the day we’ve all been waiting for.. our first glimpse at the trailer and title for the fourth Avengers Movie: Avengers Endgame! 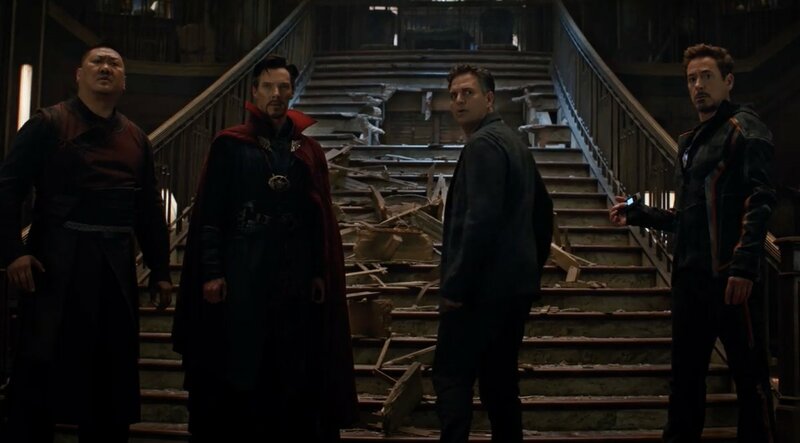 Directed by Anthony and Joe Russo, Endgame looks set to resolve the Avengers: Infinity War’s shattering cliff-hanger that saw fifty per cent of the MUC’s heroes turned to dust by Josh Brolin’s Thanos..
Its great to finally have a look at what Avengers Endgame will be like, really excited for this movie! 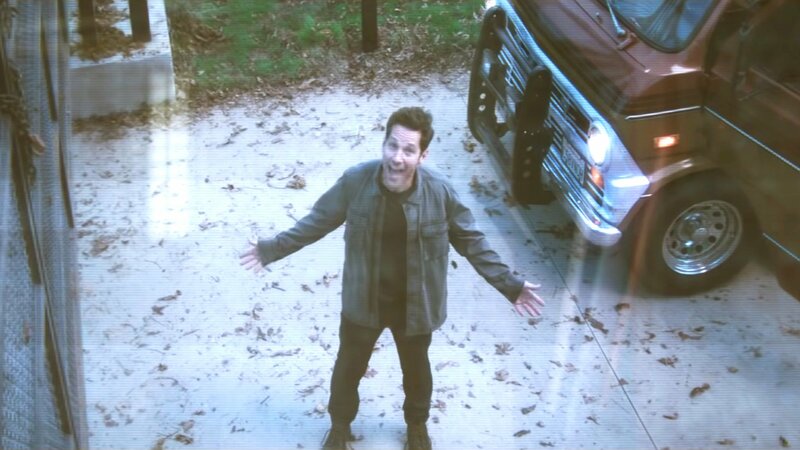 What did you all think of the trailer for Avengers Endgame? 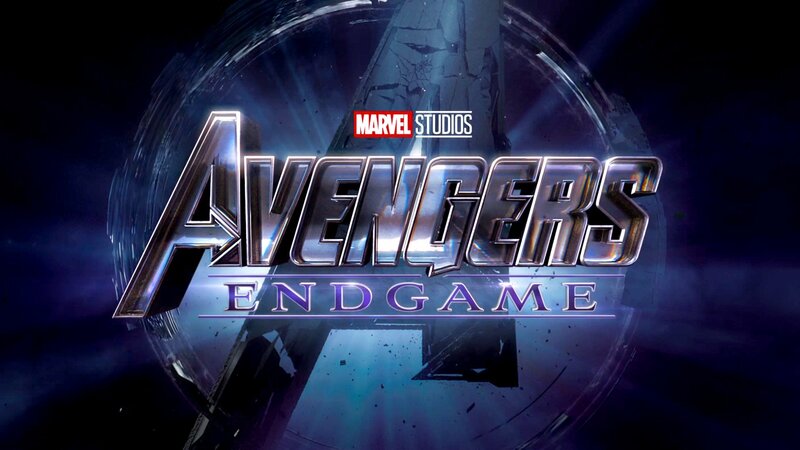 Avengers: End Game　is set to land in UK cinemas on 26 April 2019. And here’s the new Avengers Endgame poster! Get set for Marvel Studios’ Avengers Infinity War to rock the Marvel Cinematic Universe to its very core as the Avengers and their superhero allies confront the deadly power of Thanos, played with gravely voiced menace by Josh Brolin. Earth’s mightiest heroes must prepare to sacrifice everything in order to prevent Thanos from gathering the Infinity Stones into a gauntlet that could enable him to destroy the universe! 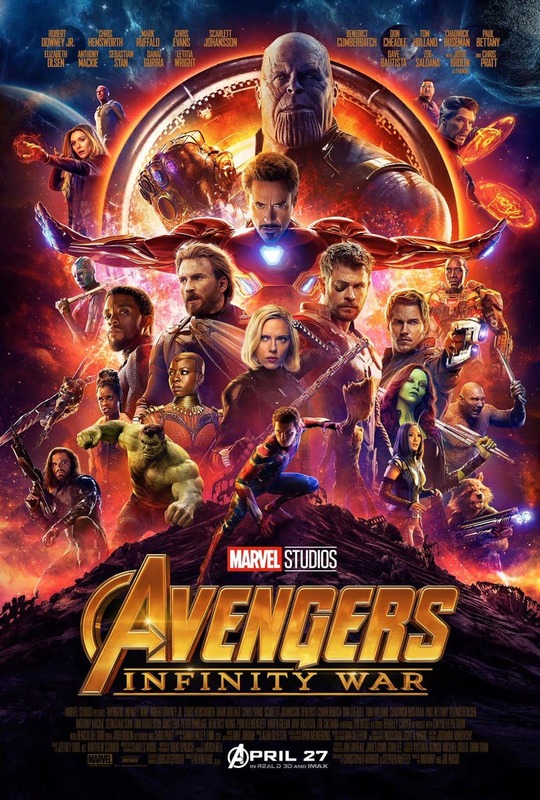 Quintessentially the culmination of everything the Marvel Cinematic Universe has been building towards since its inception way back in 2008 with Iron Man, it now falls to the nineteenth film in Marvel‘s box-office hit-machine franchise to bring this ten year journey across the MCU full circle with Avengers Infinity War. Although our heroes were left fractured by the events of 2016’s Captain America Civil War, it’s not long before they reunite in the face of the threat posed by Thanos and the mad Titan’s nefarious scheme to wipe out half the universe. 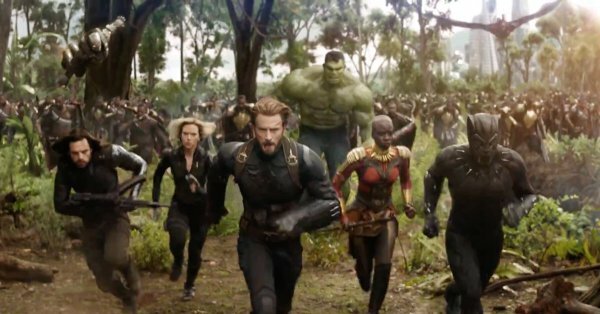 With returning favourites including Iron Man (Robert Downey Jr.) and Captain America (Chris Evans) leading the charge into battle along with Thor (Chris Hemsworth), Hulk (Mark Ruffalo), Black Widow (Scarlet Johansson), Vision (Paul Bettany), Wanda Maximoff (Elizabeth Olse), Falcon (Anthony Mackie), and War Machine (Donn Cheadle), there’s also the welcome addition of Doctor Strange (Benedict Cumberbatch), the Black Panther (Chadwick Boseman), Spider-Man (Tom Holland), and the Guardians of the Galaxy into the mix, along with numerous other characters from the MCU also joining the ranks of the films heroic ensemble cast in the battle against Thanos! Right from the jaw-dropping opening, it quickly becomes apparent that not everyone will survive either. The two and a half hour running time boasts spectacular action and drama, with its narrative interwoven across four major plot threads, spanning locations across the entire MCU; this epic crossover event is ably handled by the directing duo of the Russo brothers and screenwriters Christopher Markus and Stephen McFreely. 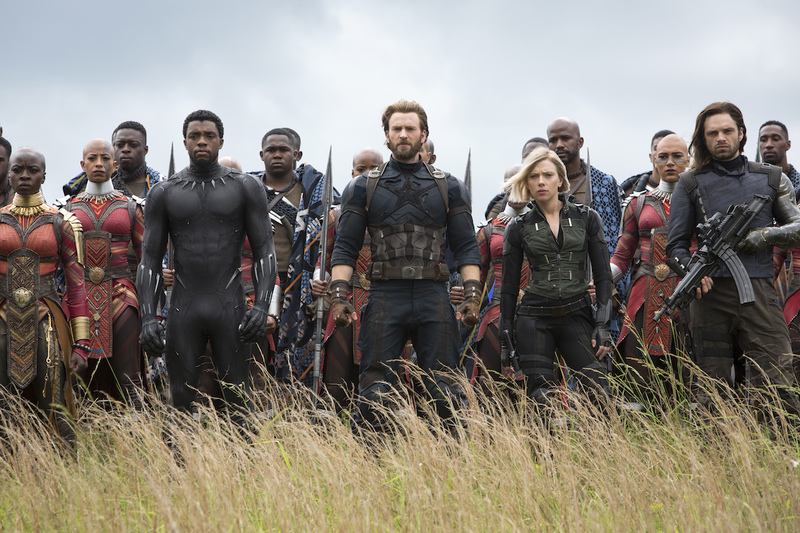 For a film so packed with plotlines and characters the Russo brothers still manage give everyone a moment in the spotlight – however fleeting – and still keep everything and everyone on track. 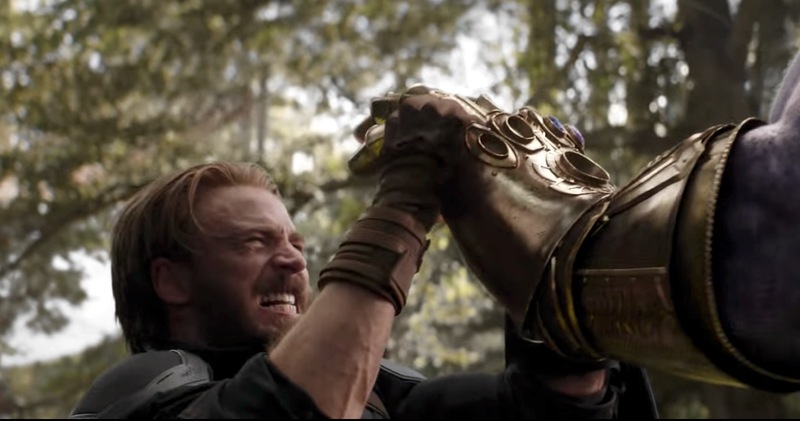 Thanos cuts a swathe of devastation in his quest to acquire all six Infinity Stones, but it quickly becomes a very personal battle for the Avengers because one of the stones is embedded in the Vision’s forehead, making the androids impending plight especially heartrending for his love interest Wanda Maxim off – in scenes movingly played by Elizabeth Olse and Paul Bettany. 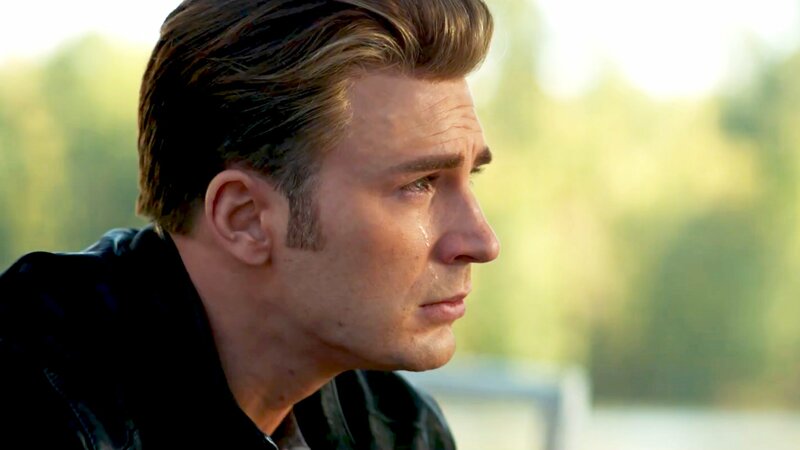 Chris Evans continues to impress as Captain America, times have been tough for Cap in recent films but the camaraderie between Steve Rogers and Bucky Barnes / White Wolf (Sebastian Stan) shines though here, as does Roger’s great respect for Wakandan king T’Challa / Black Panther. 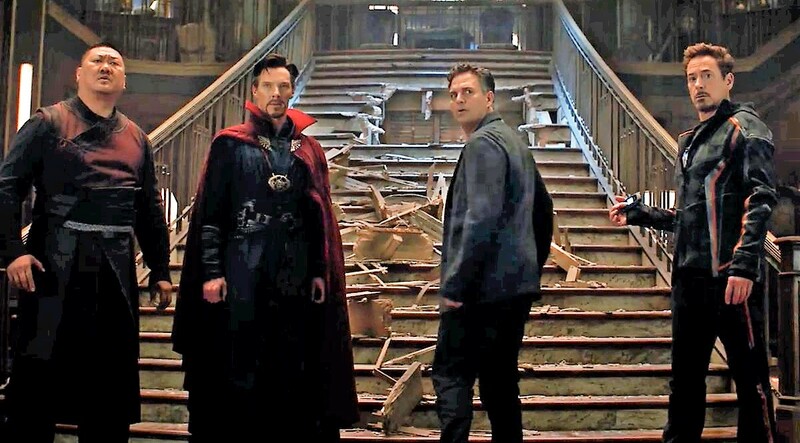 The spiky banter between Robert Downey Jr’s Iron Man / Tony Stark and Benedict Cumberbatch’s Doctor Strange is another highlight, and Tom Holland’s wisecracking Spider-Man is always fun to have around. 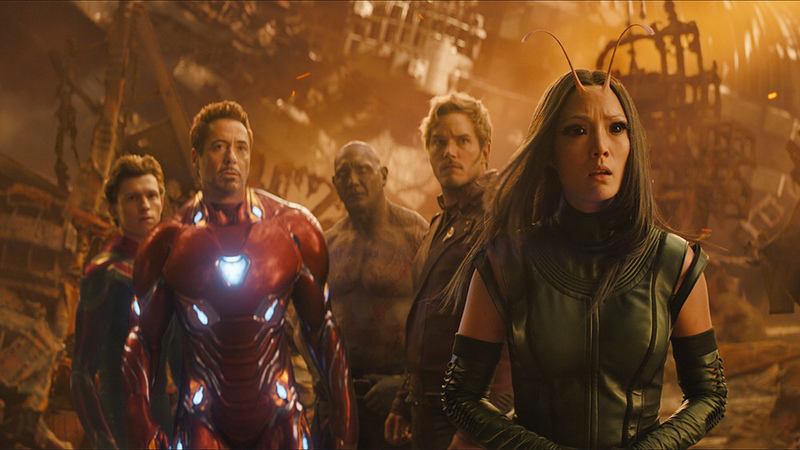 Chris Hemsworth also gets some great scenes as the vanquished Thor who teams-up with Guardians of the Galaxy Star Lord (Chris Pratt), Gamora (Zoe Saldana), Mantis (Pom Klementieff), Nebula (Karen Gillan), Drax the Destroyer (Dave Bautista), Groot (Vin Diesel), and Rocket (Bradley Cooper) in the fight to stop Thanos. Avengers Infinity War crams a hell of a lot in but it never feels bloated or gets bogged down in needless exposition. The majority of the characters are well served by the script, key emotional beats really hit the mark, and there are plenty of fun one-liners to enjoy. 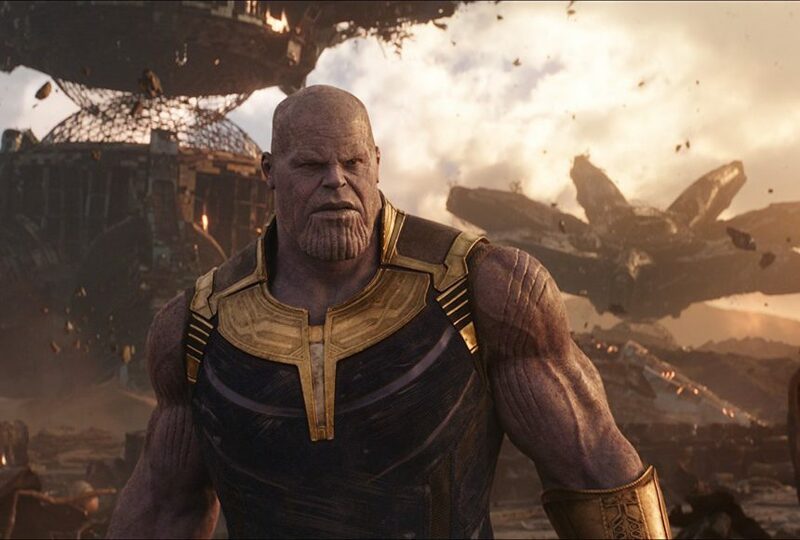 Infinity War also goes out of its way to firmly establish the giant purple alien Thanos as the ultimate Big-Bad of the Marvel Universe, and the CGI wizardry together with Josk Brolin’s brilliant performance mesh seamlessly to bring us one of the most richly compelling villains to have ever graced the MCU. 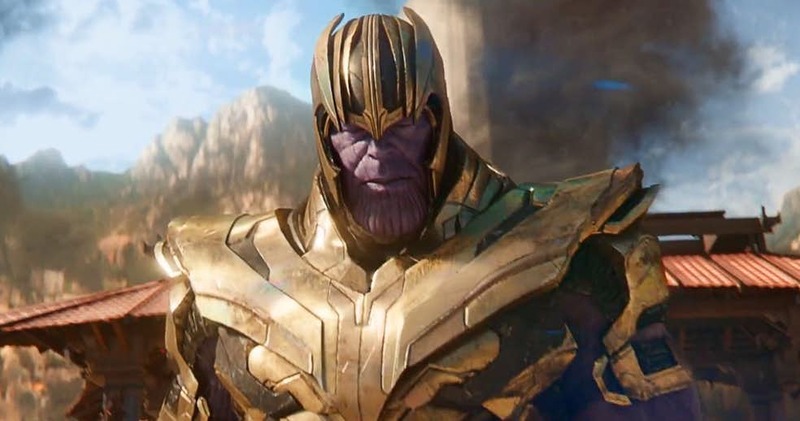 Although his motivations in Avengers Infinity War diverge slightly from his comic book counterpart, Thanos still remains a towering presence throughout the film, there’s also great pathos to his scenes with Zoe Saldana as his adopted daughter Gamora, and his fearsome lieutenants The Children of Thanos (known as the Black Order in the comics) are an imposing – if rather one-dimensional – addition to the villain’s forces. Avengers Infinity War is a veritable fangasim of comic book action, packed with mind-boggling special effects and huge action set pieces that dazzle amidst every twist and turn of the plot as events inexorably rumble towards the epic final battle, and its subsequent game-changing conclusion. Once the dust settles the excitement, gut wrenching loss, and unexpected surprises in Avengers Infinity War will leave you reeling as to where the Marvel Cinematic Universe goes from here. Avengers Infinity War doesn’t pull any punches, however with the stakes raised so high in this move it makes you wonder how much of it is set in stone – especially with the continuation already due in next year’s fourth Avengers film – but one things for sure Avengers Infinity War is without doubt one of the most ambitious and breath taking superhero movies ever! Avengers Infinity War: New Official Trailer Released! Check out Marvel Studios’ new Avengers Infinity War official trailer! Avengers: Infinity War. In theaters April 27th 2018. Can’t wait for this movie now, looks awesome, what do you think of the trailer? Marvel Studios’ Avengers Infinity War Official Trailer Released! Avengers Infinity War Official Trailer Released! 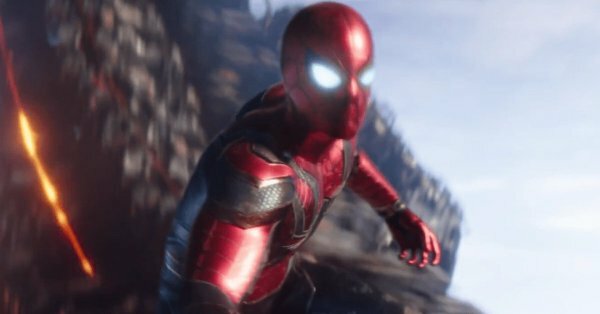 Check out the first awesome Avengers Infinity War official trailer! Avengers: Infinity War. In theaters May 4. So excited for this movie, what do you think of the trailer? New Official Doctor Who Pictures of Matt Smith and Jenna-Louise Coleman on location. The CW's DC's Legends of Tomorrow First Look Trailer!